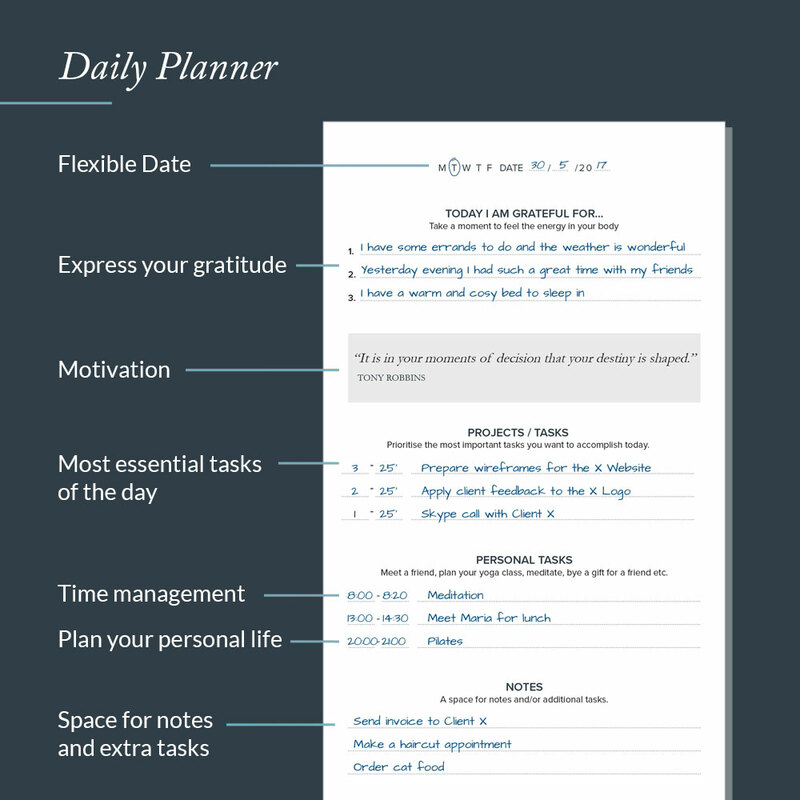 The Smart Plan is a unique toolset to create daily habits that bring you closer to your goals and the life you love. The Smart Plan is designed to encourage you to create what for you is a meaningful, joyful and successful life. Irrespective of your present condition, your dreams can become a reality and our mission is to help you get there. 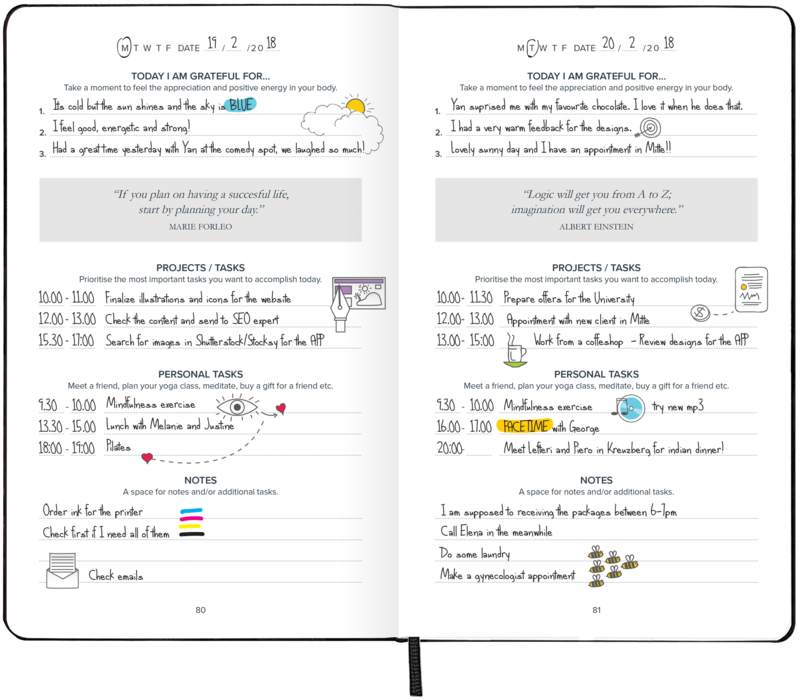 It is a planner and personal coach in one that helps you break down your goals and incorporate them into your everyday life. 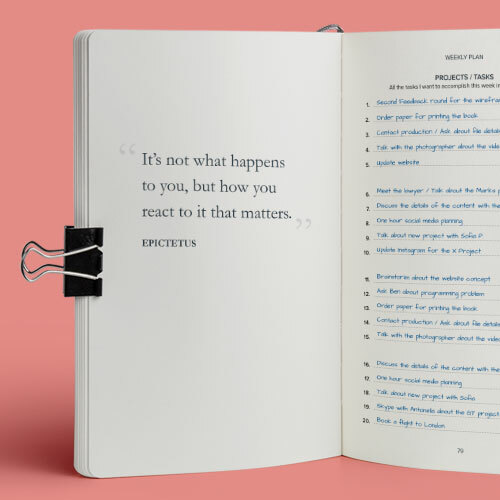 With a step-by-step guide you can reflect on the past, figure out the aspects of your life you need to improve or change, create a vision for the life you want and act on it on the present moment. It gives you the freedom and flexibility to decide what is most important, and focus on it daily, letting go of feeling stressed and overwhelmed. Hopefully it will become a place where you can freely express yourself and cultivate an attitude of gratitude, self-kindness and acceptance. 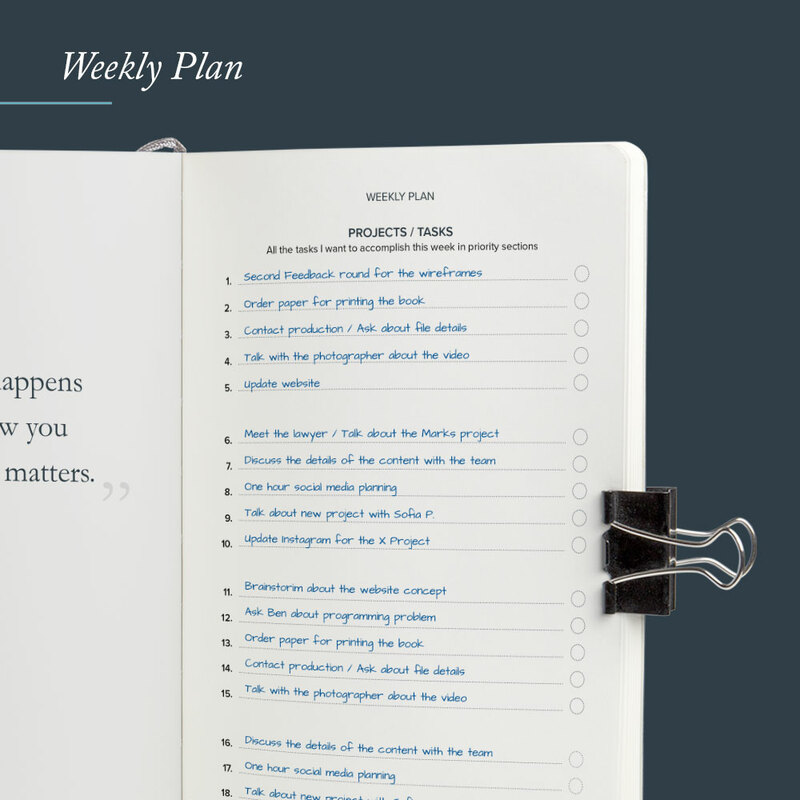 The Smart Plan provides you with a Weekly Plan, a Daily Plan and a Biweekly Reflection. 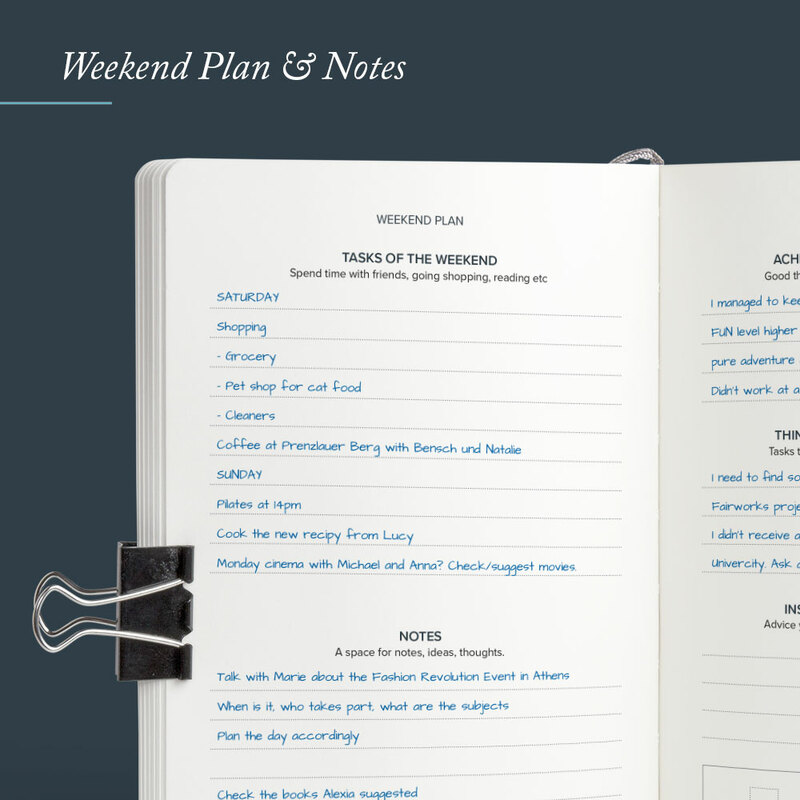 This will make you more efficient in carrying out all your plans. It is a step by step process, that consists of a series of coaching exercises, that enables you to reflect on your life, identify your personal resources and talents and use your deepest wisdom and creativity to develop yourself and plan for your life staying focused and motivated. What makes you productive is acting towards your goals and dreams rather than struggling with everyday tasks. Hence, our simple yet effective techniques will help you achieve more focus and structure in your life so you can use your time meaningfully, have less stress and be happier. The attitude of gratitude, self-compassion and consciousness are life-changing principles which are not only easy to implement but can have a massive impact in our lives. Thus, the Smart Plan encourages you to become mindful of what you’re grateful for before you start each day. 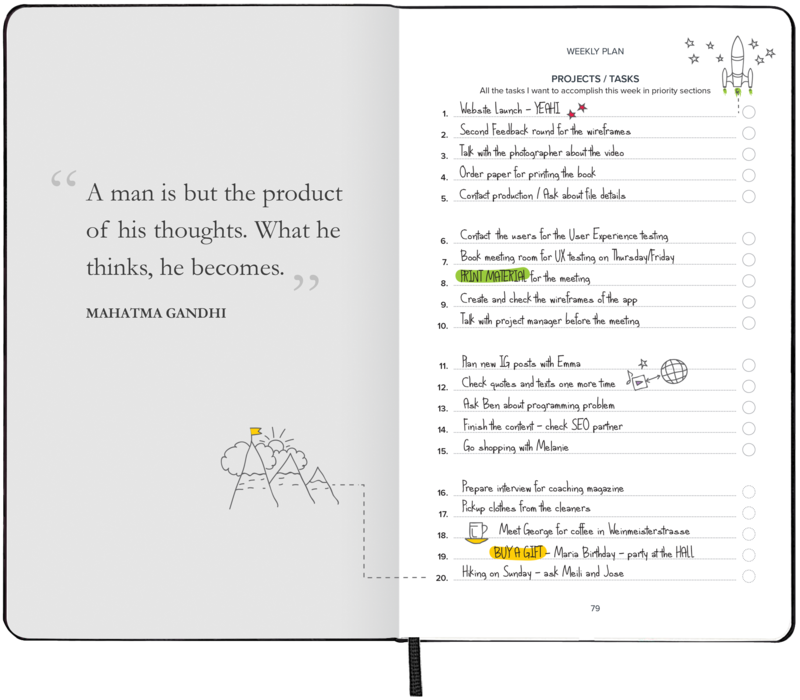 The Smart Planner operates on “Three essential tasks per day” principle which allows you to prioritize and organize your professional and personal life. 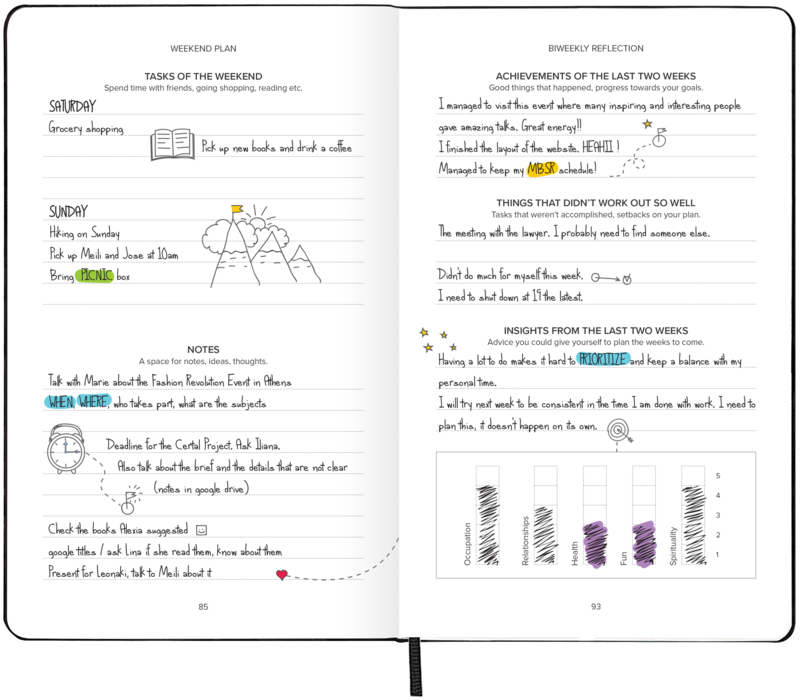 The updated 24-week journal enables you to plan your next steps in life, while the Biweekly Review helps to reflect on your achievements and recognize obstacles. 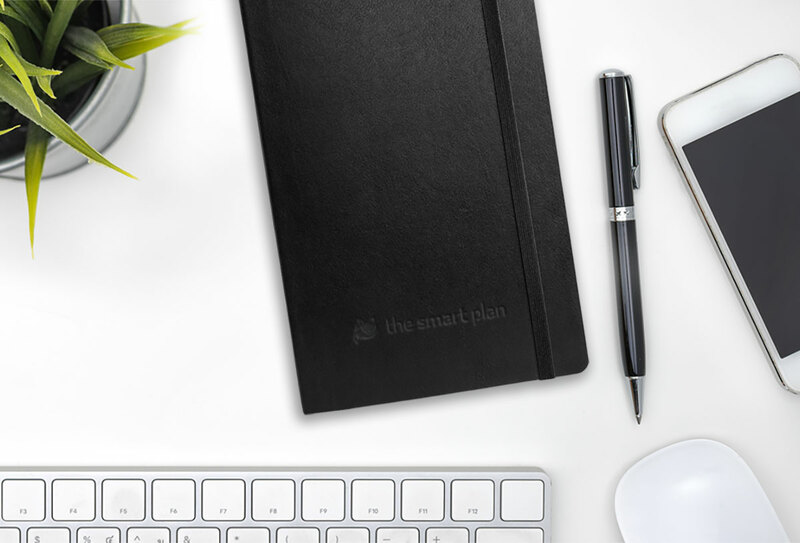 Integrated into your everyday life, the Smart Plan is more than just a planner. 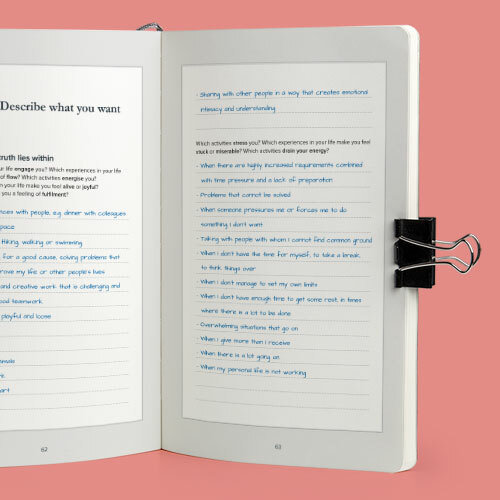 With a step-by-step goal setting guide, a gratitude log, scheduled time for reflection and daily motivational quotes it empowers you to think big and accomplish more, while adopting mindfulness and enjoying life. 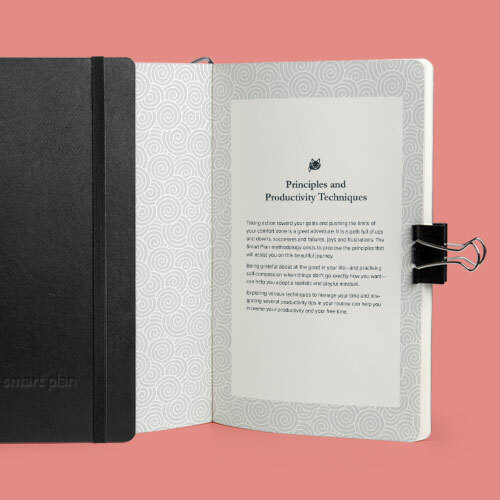 The Smart Plan is a calendar designed to help you structure you day and follow specific directions that helps to avoid procrastination and brings you closer to your goals and dreams. It has a series of guided coaching exercises which will encourage you to observe every aspect of your life, know whether you are satisfied with what you have and train your ability to improve what doesn’t work using specific techniques. These exercises help to stir up a way of thinking that challenges your routine and makes you remember or discover what you want. The minimalistic design of The Smart Plan provides you with the perfect notebook-sized journal (5, 10” x 8, 25”/ 13 x 21 cm). It weighs 380 gr and has 272 pages. It also fits into every handbag, backpack or laptop bag, so you can take it wherever you go. It is made in Greece, made of top-quality materials and bound with a recycled leather cover. Shipping costs are included in the price.You will receive your copy of The Smart Plan depending on your location: Europe: 1–5 business days, USA: 3–5 business days, World: 10–25 business days. 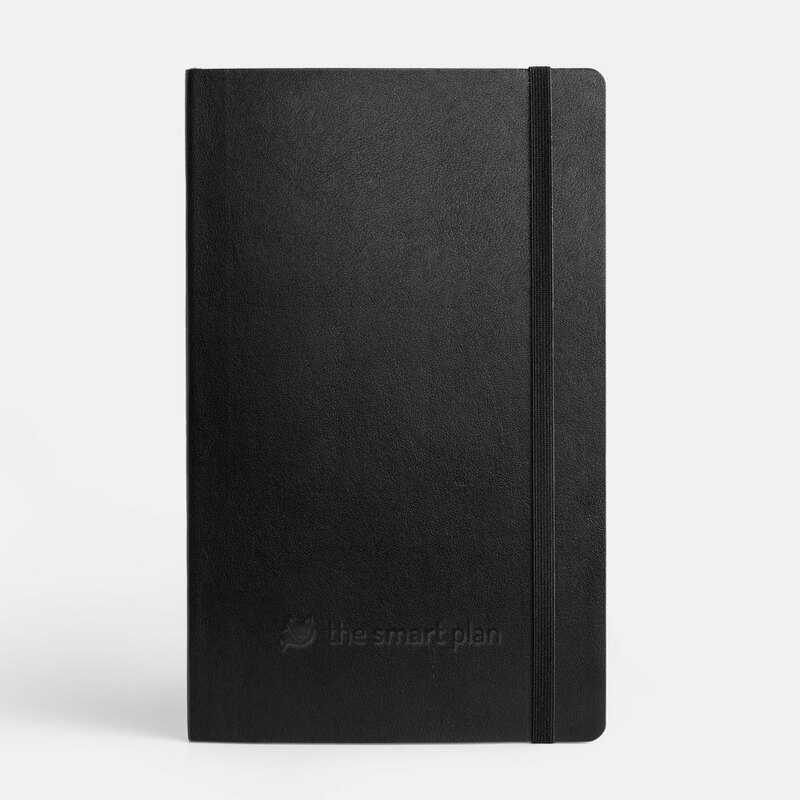 The Smart Plan has a minimalistic design which provides you with the perfect notebook-sized journal. It is designed to make you more productive and happy by enabling you to accomplish more and have free time for the things you love. The Smart Plan coaching exercises will teach you the principles of time management and gratitude which are strong traits of every successful individual. 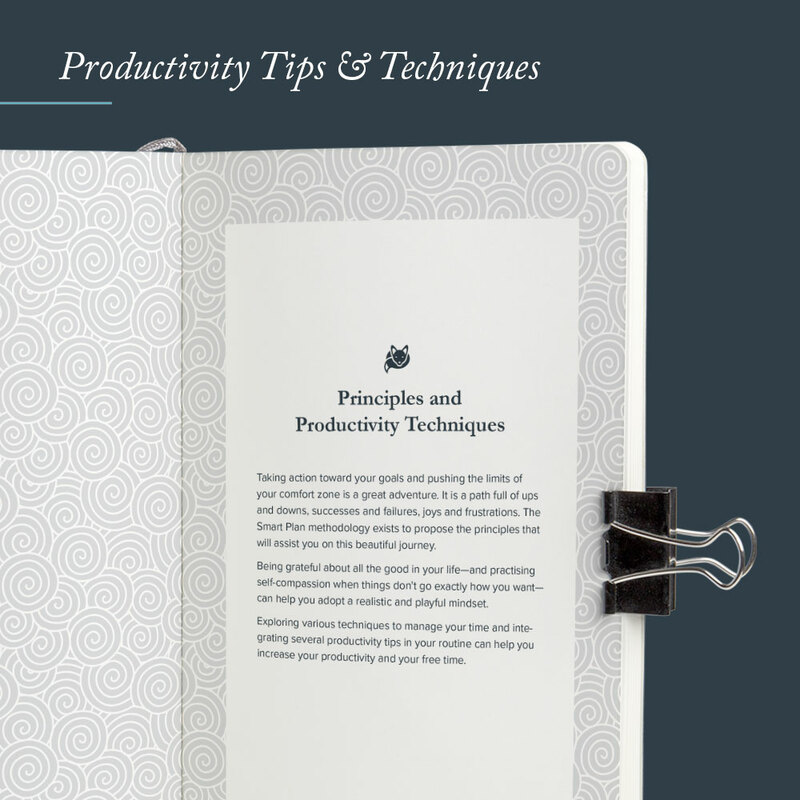 It contains some tips and time tracking techniques such as the Pomodoro Technique which will help improve your productivity and efficiency. Show us how you use The Smart Plan by tagging your pics on Instagram. Can I find The Smart Plan in retail stores? You can find The Smart Plan only in our online shop for now. We are working on bringing The Smart Plan in retail stores closer to you. We are working on the details to provide you the best offers for bulk orders of The Smart Plan. Shipping of The Smart Plan varies depending on your location. Europe: 1–5 business days, USA: 3–5 business days and World: 10–25 business days. We are working on providing you options for quicker shipping. How long does The Smart Plan last? The Smart Plan is created for six months. More precisely there are 40 pages with information about The Smart Plan concept, the explanation of the coaching exercises as well as productivity tips and techniques, 18 pages with space for completing your own coaching exercises, 5 daily pages per week, one weekend plan per week, a biweekly reflection every two weeks and 24 weeks. A total of 272 pages. We are open to more questions. Feel free to contact us! Let us know what you think. We are constantly evolving and we value your feedback.